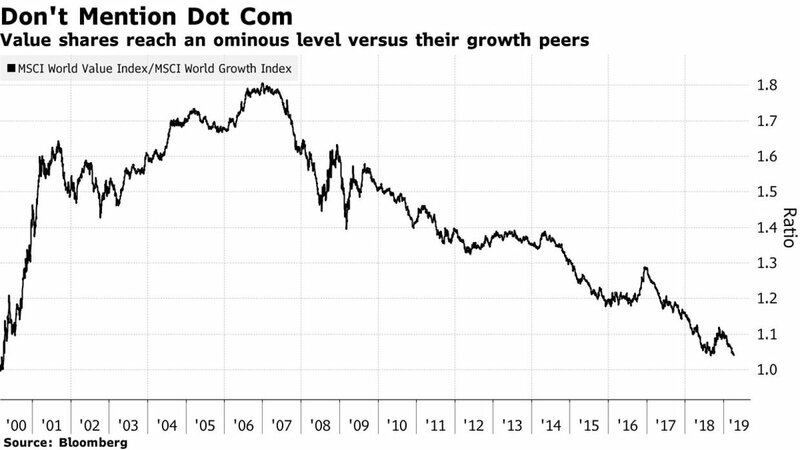 As of Friday, the MSCI World Value Index was flirting with a 19-year low against its growth counterpart at less than half a basis point from its dot-com nadir. That should be a gut check for equity investors in this unloved rally, bringing with it two questions: How much crowding can growth stocks sustain? And can value shares stay this cheap?